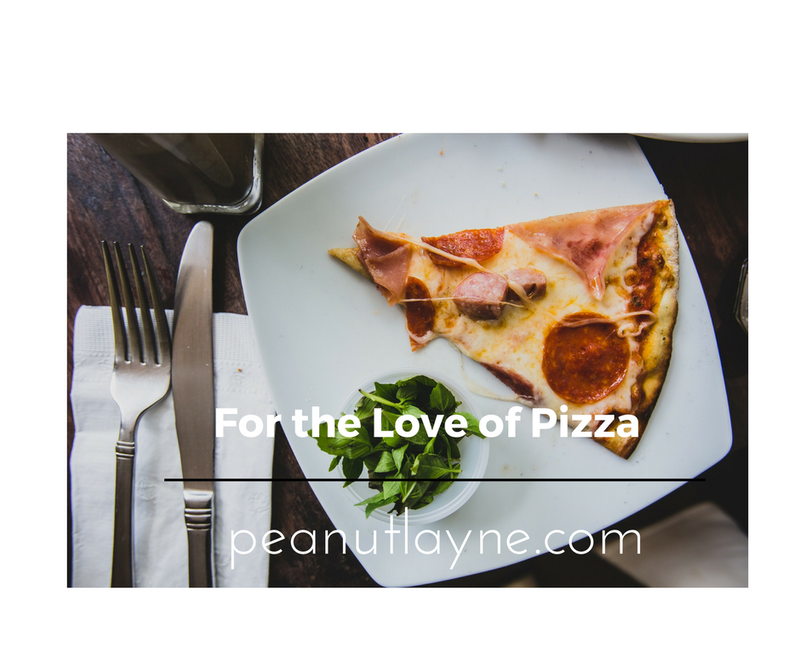 Life on Peanut Layne: Pizza. It's what's for dinner...every single night until we die!!! Providing laughter, entertainment, and permanent birth control to the entire neighborhood! Pizza. It's what's for dinner...every single night until we die!!! 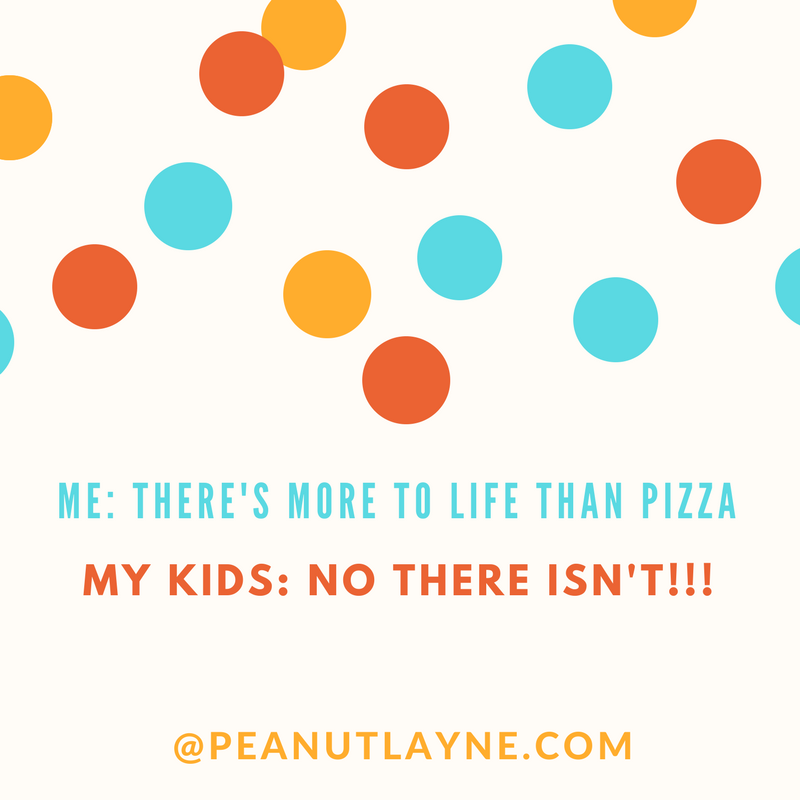 If it were up to my kids, they would seriously eat pizza for breakfast, lunch, and dinner. They love anything pizza related too, pizza rolls, pizza pockets, pizza wheels, those pizza on a bagel thingies, etc. I'm just waiting for a cereal company to finally make their dreams come true and release a pizza flavored cereal, because I have no doubt my kids would eat that too. I know exactly where they get their undying love and adoration for pizza from too....their dear old dad. When I first started dating my husband, he was a bachelor living in his own man cave, otherwise known as a one bedroom apartment. The inside of his refrigerator was completely barren minus some ketchup and soy sauce packets from various fast food places and a twelve pack of Mountain Dew. He ordered pepperoni pizza for dinner pretty much every single night of the week. In fact the place he ordered it from, immediately recognized his number on the caller ID, so they knew his order before he even had to say hello. I like pizza too, but I don't wish to eat it for every single meal, especially as I get older. I swear if I even look twice at a slice of veggie or cheese pizza (really the only two kinds of pizza I can consume since I'm a vegetarian), I gain about ten pounds, pretty much all around my waistline. It may be warm, cheesy, saucy and delicious, but it's best when eaten once a week (twice tops). However, tell that to my dear, sweet, children, as they literally don't want to eat anything else. Last night I attempted to cook some spinach and cheese ravioli from Costco. You would've thought those little pockets of pasta were stuffed full of rat poison judging from their expressions. They ate one or two little bites of pasta (they literally chewed the outside ring of the ravioli so they didn't have to touch any filling) and then ate a thousand pieces of french bread with butter. I try very hard to cook them a variety of meals. For example, I can cook a mean vegetarian crock pot chili but that has *gasp* beans in it so they carefully lick the sauce off the spoon so that they don't accidentally swallow a bean because that would be apparently equal their sudden and immediate demise and then they eat all of the cheese off the top of the chili. Then of course after they get told "No you can't add more cheese on top of your chili until you actually eat some of the chili" they dump their bowls into the sink and then complain about being hungry. This is precisely why I don't kill myself cooking complicated meals because I'm probably the only one who would eat them, along with our dog Olive, who eats absolutely everything with Seanie Mac's poopy diapers being her all time favorite meal. Our typical meal rotation consists of things like vegetarian hot dogs, veggie burgers, spaghetti, teriyaki ChikN and rice (notice I said ChikN not chicken as it's not really chicken because we don't eat meat...which by the way, things were absolutely no different back when we did eat meat. They still hated everything I cooked), baked macaroni and cheese, tacos, loaded baked potatoes, etc. These are things that I can at least get them to partially eat, but they still would much rather have pizza if given a choice. I on the other hand am sick to death of all of these things. I've tried cooking other meals in the past like lasagna, enchiladas, tofu stir fry, curry and rice, various homemade soups, casseroles, etc, and the majority of the meals ended up going to waste. It's frustrating because people always say, "They will eventually get hungry and eat what's on their plate if you don't give them a choice" but these people obviously haven't met my stubborn little angels. Getting them to do something they don't want is like trying to catch a cat in a carrier to take to a veterinary appointment. Think of the little girl in the Mommy Dearest movie who refused to eat her bloody raw steak (okay so I can't say that I really blame her on that one), but it's pretty much an FBI style standoff every single time, especially with Peanut. 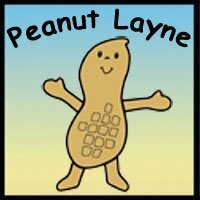 This kid could seriously sit at the table for two solid days to avoid eating something that he views as yucky or disgusting (which again is pretty much anything besides pizza or peanut butter and jelly). All I can hope is that their palates mature and their minds open up a little as they get older, and that maybe eventually, someday I'll actually be able to feed them a vegetable without them barfing it back up on their plates (yes, this actually happened once with our oldest). I'm not holding my breath though, as I really don't foresee this happening anytime soon. As for what we're eating for dinner tonight? Yep, you guessed it. Pizza. I'm running a business of italian restaurants and this post works great for me!